Precise filleting of fish, game or meat. The unique, flexible blade design is functional in either a kitchen or outdoors in a fishing and hunting setting. Filleting, deboning or skinning delicate fish or preparing carpaccio is easier with this extra thin, flexible blade. The Wüsthof Classic range is drop forged from a single piece of chromium-molybdenum-vanadium steel for maximum strength, balance and heft. This specialised high-carbon, stain-resistant alloy ensures that the cutting edge of the knife is razor sharp and also easy to re-sharpen. 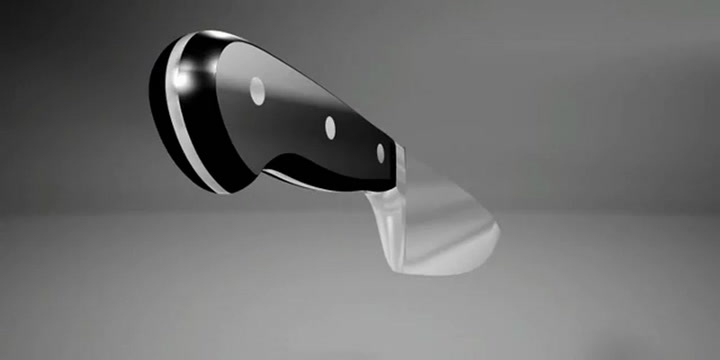 A computer controlled grinding and polishing of the blade ensures there is perfect tapering from bolster to tip. The full tang knife is beautifully sandwiched by a synthetic, ergonomic handle that's been triple riveted for durability yet still retains its stylish looks and smoothness. The perfectly weighted full bolster gives the knife its heft and protects your fingers too. Wüsthof knives, scissors and kitchen tools have been made in Solingen, Germany, by the family-owned operation since 1814. The company regularly wins international awards and are given top ratings by reviews and publications. Wüsthof knives are used by national culinary teams, and famous chefs worldwide, including Gordon Ramsay, Jamie Oliver and James Martin. Although some Wüsthof products are dishwasher safe, we do not recommend that your knives and scissors be put in the dishwasher. Blades can knock together, damaging them, and if not washed soon after use, corrosive food particles can damage the blade. Rather wash your knives after each use with warm water and a little detergent, rinse carefully and dry with a towel. All knives require regular sharpening. Wüsthof manufactures sharpening options that suit all of their knives, including whetstones, honing steels and pull-through sharpeners. See the sharpening range here. Wüsthof has a range of storage options to keep your knives safe: magnets, blocks, in-drawer organisers, and knife rolls. See the storage range here. Wüsthof products come with a lifetime warranty, and will be repaired or replaced if there are any defects in workmanship or materials. View more from Boning & Fillet Knives, Wusthof Classic.